Renowned Las Vegas oddsmaker Jimmy Vaccaro has returned to his hometown as director of sports relations for Rivers Casino Pittsburgh in the US. 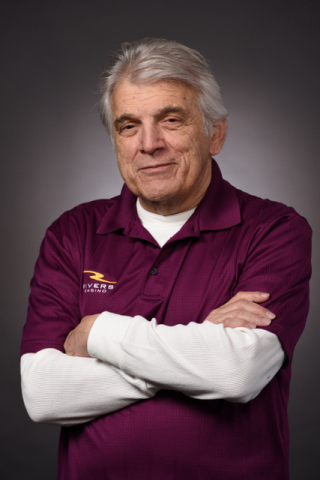 Vaccaro, a sports wagering luminary, will advise and further develop Rivers Sportsbook, which opened at the North Shore casino in December 2018. For many followers and fans of sports betting, Jimmy Vaccaro is a household name. Most recently, Vaccaro was director of sports marketing for South Point Hotel, Casino and Spa in Las Vegas, where he had been since 2013. He’s also a frequent expert commentator on CNN, ESPN and social media on all matters of sports betting and oddsmaking. Vaccaro began his storied Las Vegas casino career in the 1970s as a blackjack dealer at the Royal Inn, where he became that property’s first sportsbook manager. In the nearly five decades that followed, Vaccaro held a series of sportsbook leadership roles with Mirage, MGM Grand, Golden Nugget and Barbary Coast, among others. Interblock has signed a partnership with Penn National that will include installations at over 20 casinos and guarantees Penn exclusivity on newly released products. Lawmakers in the US state of Pennsylvania are getting closer to allowing gambling services to be offered at more than 40 truck stops and so-called mini-casinos. While Australia’s casino operators have suffered from lower spending by Asian high-roller gamblers, analysts see potential VIP recovery in the 2020 financial year.